In my reading, I came across an instructional post at the AWeber blog that I found very helpful. 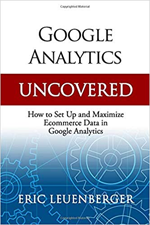 And since I have talked about both Google Analytics and AWeber as tools that you can use to increase sales, I wanted to post a link to the entry for you to read. By doing just a few things, you can add links to your AWeber messages that will allow you to separate and compare the traffic that comes from email against traffic that comes from the web. Why is this important? Well, it enables you to track not only what visitors do when they come to your site, but determine how effective an email campaign was at generating interest, and more importantly the sale. Sure, AWeber comes with its own statistics like open rates, delivery rates, etc… However, until I found this tidbit of information, I was not able to actually have those statistics held side-by-side with the rest of my Google statistics. This change helps tremendously in determining not only how many people opened a given message, but what exactly they did from the moment they arrived at my website to the moment they left. This is valuable information you need to increase conversion.